Olesya Chumakova added one more win for Russia to strengthen its lead in the medal table following the fourth day (12) of athletics at the 24th World University Games in the Thai capital. Briton's Simeon Williamson won a re-run 100m final after a false start on Saturday, while Cuba's Yarelis Barrios (Discus Throw), Germany's Alexander Straub (Pole Vault), Algeria's Samir Khadar ( 1500m), Bulgaria's Dobrinka Shalamanova (3000m Steeplechase) and Turkey's Halil Akkas (5000m) dominated the remaining finals on Sunday. Chumakova gave Russia its fifth athletics gold at the Main Stadium of Thammasat University's Rangsit Campus. Paced by Ukraine's Tetyana Holovchenko, Chumakova made a strong finish over the final lap to clinch the 1500m gold in 4:09.32, ahead of Holovchenko (4:10.46) and Poland's Sylwia Ejdys (4:11.51). In the men's race, Samir Khadar made history as he became the first Algerian to win athletics gold at the World University Games. The 21-year-old led from gun to wire in 3:39.62, closely followed by Alvaro Rodriguez of Spain (3:39.78). Brazil's Fabiano Peçanha finished third in 3:40.98 for his fourth Universiade medal, having won the 800m in 2005 and the 800m and 1500m bronze medals in 2003. After an impressive display in the first round, with a personal best of 1:44.60, Peçanha is determined to successfully defend his crown over two laps. Britain's European Under 23 champion Simeon Williamson confirmed the 100m title on Sunday after a rerun 100m final. The 21-year old won Saturday's final in 10.28, but his reaction time was 0.099 seconds, slightly faster than the allowable 0.100. 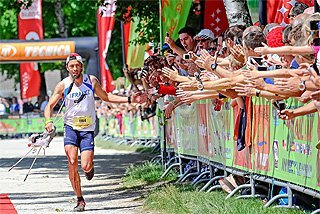 Therefore, a new final race was held on Sunday after officials detected a false start by the Briton. Williamson was again the swiftest off the blocks but in a legal reaction time of 0.143 and went on to win in a faster chrono of 10.22. 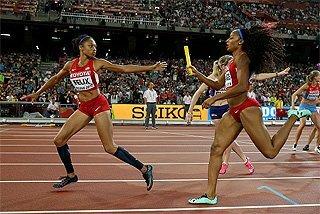 Williamson, who has run 10.10 this season, became the second Briton to clinch the WUG 100m title, as Chris Lambert also did in Asia, in the Korean city of Daegu, in 2003. 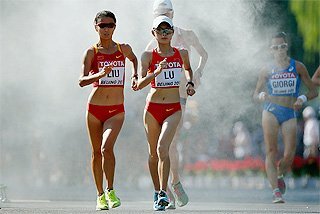 China's Peimeng Zhang (10.30) and Canada's Neville Wright (10.37) confirmed his silver and bronze medals from Saturday. Leonid Kivalov was seeking another gold for Russia in the men's Pole Vault, but Alexander Straub stood in his way to claim Germany's first gold in Bangkok. Both athletes cleared 5.60 on their second attempts and were tied on the countback. Therefore, a tiebreaker was set and after missing 5.65 and 5.60, the German went over 5.55 and the Russian failed. However, Russia prevailed for bronze as Dmitry Starodubtsev defeated Tobias Scherbarth on a countback. Both achieved 5.50. 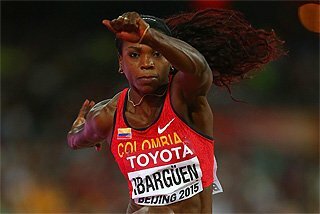 Also on the infield, Yarelis Barrios continued her winning form three weeks after taking the Pan American gold in Rio de Janeiro. 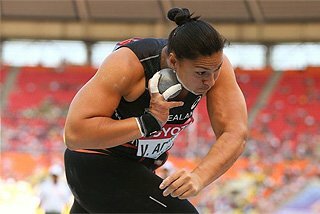 The 24-year-old released the Discus to 61.36 in the second round and backed it up with a 61.26m effort in the third to give Cuba its first gold in Bangkok and the first Universiade athletics title since 2001. 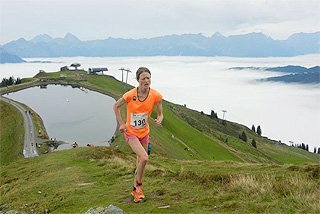 Barrios is enjoying the happiest time of her career as she has won her first two international titles in the last three weeks. Australian junior Dani Samuels (60.47) and Serbia's Dragana Tomasevic (56.82) accompanied her on the podium. Ten days after turning 20, Robert Crowther gave himself a birthday present with the Long Jump win in a personal best of 8.02. The 2006 World junior champion, who leapt a windy 8.15 this season, propelled Chao Chih-chien to a lifetime best of 7.95 for second, the fourth athletics medal for Taipei in the history of the Universiade. Crowther's was Australia's second gold here, following Sean Wroe's 400m win on Saturday. Czech Roman Novotny finished third in 7.88. In the women's 3000m Steeplechase, contested for the second time at the Universiade, Dobrinka Shalamanova brought Bulgaria back to the list of champions after 20 years. Shalamanova displayed a strong kick and crossed the finish line in 9:45.04, ahead of Ukraine's Valentyna Gorpynych (9:45.55) and Turkey's Turkan Erismis (9:46.12). Portugal's Sara Moreira, who led in the first two kilometers, faded to fourth in 9:46.70. 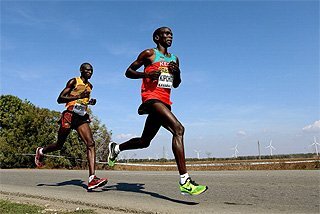 In a pedestrian pace, runners waited until the last stages to attack for the 5000m gold with Halil Akkas of Turkey being the fastest in 14:08.47 minutes, followed by Japan's Yuki Matsuoka (14:09.33) and Uganda's Simon Ayeko (14:10.13). The men's 100m final re-run affected Egypt's Amr Seowd, who is trying to meet the IAAF standards to qualify for the IAAF World Championships in athletics, to be held in Osaka. Seowd, finished seventh in the 100m re-run and had to run the first two rounds of the 200m. The 21-year old, who set a personal best over the half lap in the first round ( 20.88), behind Canada's Smellie Gavin (20.81), needs to run 20.75 to book a ticket to Osaka. The Egyptian was the quickest in the second round with a 20.93 clocking as Japan's Tomoya Kamiyama (21.07) Ramon Smellie Gavin (21.18) and 13 other men made it to Monday's semifinal. In the women's event, Ukraine's Iryna Shtangyeyeva (23.58), Britain's Kadi-Ann Thomas (23.67) and Belgium's Hanna Marien (23.69) led the semifinal qualifiers. Germany's Jacob Minah leads the decathlon after the first day with 4310 points, thanks to his 7.87m Long Jump, 10.75 in the 100m and 47.49 in the 400m. Brazil's Carlos Eduardo Bezerra cleared 2.13 in the High Jump to move to second with 4275, ahead of Ukraine's Oleksiy Kasyanov (4190). After winning the men's 4x100m on the opening day on Thursday, the host country has great chances of savoring another victory at the Main Stadium of Thammasat University's Rangsit Campus. Buoban Pamang led the Javelin qualification with 58.35 but will face strong opposition in Tuesday's final from Poland's Urszula Jasinska (57.98) and Germany's Mareike Rittweg (57.69). Puerto Rico, which only shows a 200m bronze by Edgardo Guilbe in 1987, has high hopes on 2006 Iberoamerican champion Javier Culson for the gold here. The 23-year-old, who has already run a national record of 49.07 this season, led the 400m hurdles semifinals in 49.68, ahead of Kazakhstan Eugeni Meleshenko ( 49.71) and Mozambique's Kurt Couto (50.04), both with new personal bests. 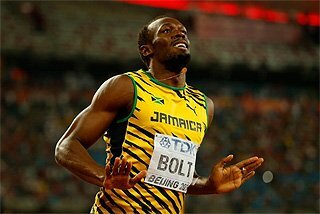 Eight finals will be staged on Monday on the fifth and penultimate of athletics at the 24th Universiade. 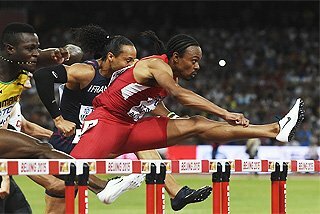 Both men and women will run the decisive 200m and 400m hurdles. 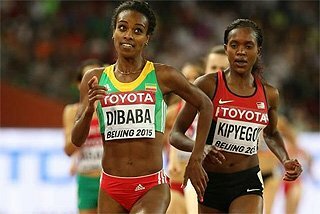 Women will also seek medals in the 5000m, High Jump and Triple Jump. 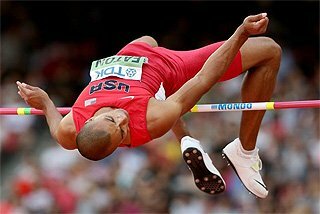 Men will compete for glory in the 3000m steeplechase and the second day of the Decathlon. Over 1500 student athletes aged between 17 and 28 from 150 countries will be competing here in 15 sports until 18 August. 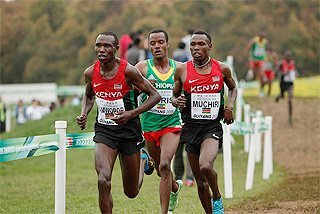 Some of the athletes participating here take the Universiade as part of their final tune-up for the 11th IAAF World Championships in Athletics, to be held in Osaka, Japan, 25 August - 2 September.